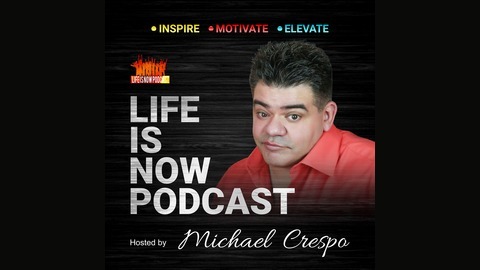 Life Is Now Podcast inspired and created by Mike and Kristina from New York City. Michael Crespo and Kristina L. Bonhomme are internationally recognized and certified Life Coaches. Their podcast is about inspiring, impacting motivating and lifting people's spirits and for people who want to reach unlimited possibilities. They have had countless guests on their podcast including #1 best selling authors, celebrities, artists, powerful leaders and a wide variety of serial entrepreneurs. In less than a year they have had 47.5k downloads worldwide on platforms such as itunes, Googleplay and Podomatic. 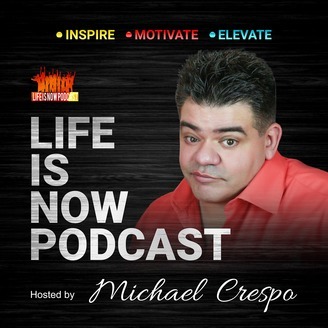 For further information or to hire Mike & Kristina as guest speakers, please call 646.203.4731 or email us at LifeIsNowpodcast@gmail.com. 100TH PODCAST EPISODE - POP DANCE DIVA " ALISHA "